Like our other scanner products, configuration of the MS830 is fast and easy. A bar code menu provides extensive setup options. A simpler quick setup menu lets users configure common features. Once ready, the configuration can be cloned and applied to other units through the use of custom bar code labels. This is very useful when you need to deploy large installations. Even complex and difficult configurations are amazingly easy to set up via Scanner Configuration Manager software. The MS830 is the right scanner for office automation, retail and light industrial applications. All MS830 series scanners are manufactured at our ISO 9001 certified factory. The MS830 series have a 3-year limited warranty. 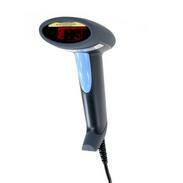 or call (541) 601-8282 for more information on the MS830 Bar Code Scanner.